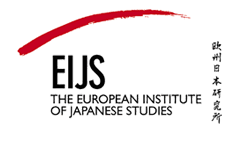 The mission of the European Institute of Japanese Studies (EIJS) is to serve as a major centre for research on the economies and societies of Japan and East Asia, with particular emphasis on issues which impact Europe. "Our mission is to create opportunities for mutual learning between Japan and Europe"
The mission of the European Institute of Japanese Studies (EIJS) is to serve as a major centre for research on the economies and societies of Japan and East Asia, with particular emphasis on issues which impact Europe. Established in Stockholm in September 1992 through an endowment of funds from Swedish and Japanese businesses and the Swedish government, EIJS operates independently of economic and political interest groups as an autonomous research centre within the Stockholm School of Economics. EIJS's five areas of activity are: Research, Education, Information, Public Seminars, and Corporate Relations. With research and education as the core, EIJS is also active in providing value-added information services, arranging conferences, workshops and seminars, disseminating research results, and participating in public policy debate. The Euro-Japanese relationship is often described as the weak link in the world economy. A major goal of EIJS is to strengthen this relationship and to provide the means for Europe and Japan to learn more about and from each other. EIJS aims to act as a platform for research and educational programmes, focusing on the dynamics of Japan and East Asia and on the links between East Asia and Europe. EIJS actively contributes to the integration of the world economy by interpreting, analysing, and disseminating information to decision-makers and opinion leaders in both the public and private sectors. In order to facilitate this vital East-West dialogue, EIJS opened a liaison office in Tokyo in October 1997. The activities of the Tokyo office have been supported by the Embassy of Sweden, the Swedish Chamber of Commerce and Industries in Japan (SCCJ), and European and Japanese corporations. New Book "The EU-Japan Partnership in the Shadow of China: The Crises of Liberalism"